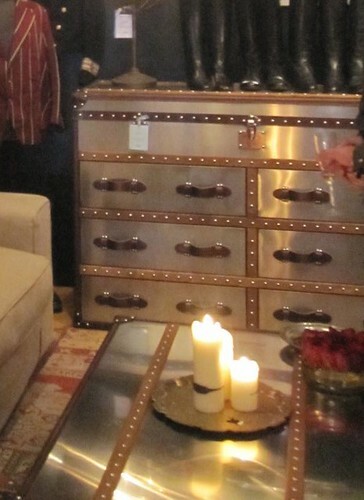 With the emergence of Steampunk as an interior design trend, it’s no surprise that furniture is experiencing some innovative changes. 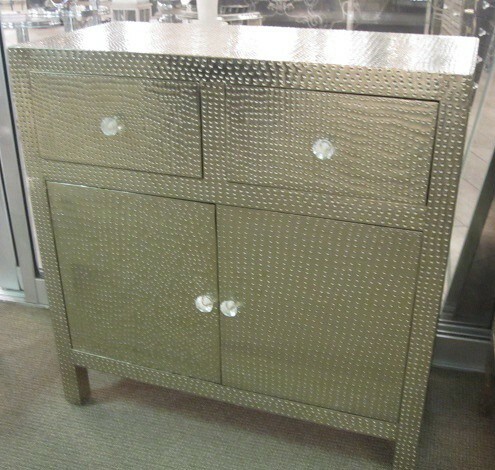 To add something eye-catching to your home, consider a piece of metal wrapped furniture. By using traditional or vintage shapes, these pieces can give a nod to the past in a way that feels both familiar and futuristic. Most of the pieces we’ve seen are wrapped with aluminum and steel. Some of the most exciting examples use a mix of materials. 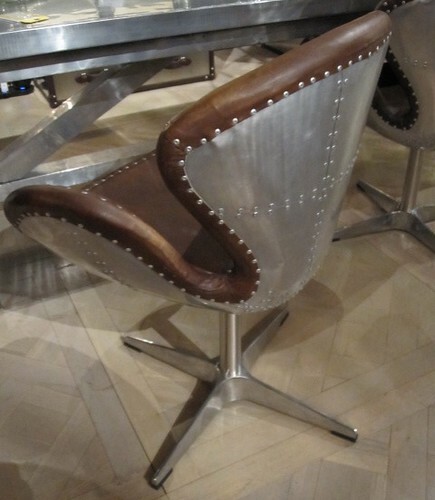 Isn’t this metal and leather chair incredible? These extraordinary pieces are typically handmade. By using a process called cladding, the metals are bonded together to protect the inner metal from corrosion. In addition to those with smooth planes, there are also ones with a lot of texture. Some used a thinner metal to create a “wrinkled” look similar to the one seen on the trunk below. 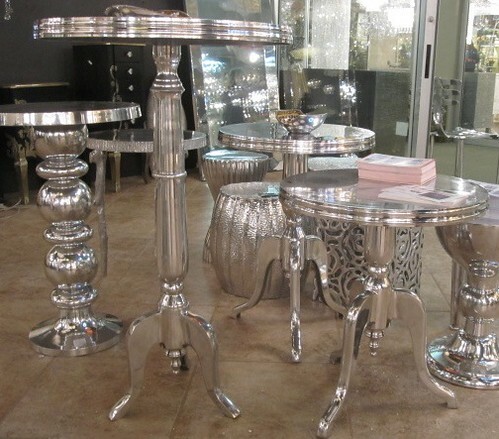 Because of its industrial edge, these pieces are durable and ready for your next cocktail party. Don’t worry about setting drinks on them. They’re treated not to rust.